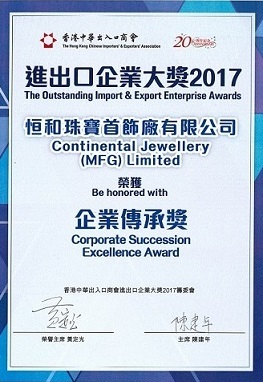 In recognition of our strong emphasis on creativity, service, and innovation, Continental has been awarded countless industry accolades. A wide range of industry experts, organisations, and publications have acknowledged Continental’s commitment and accomplishments. 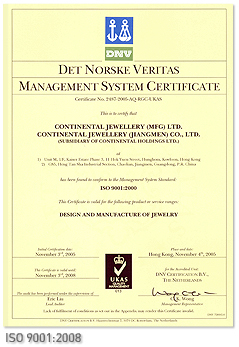 Continental is an accredited member of the Jewellery industry. Copyrights © 2016 All Rights Reserved by Continental Holdings Ltd.